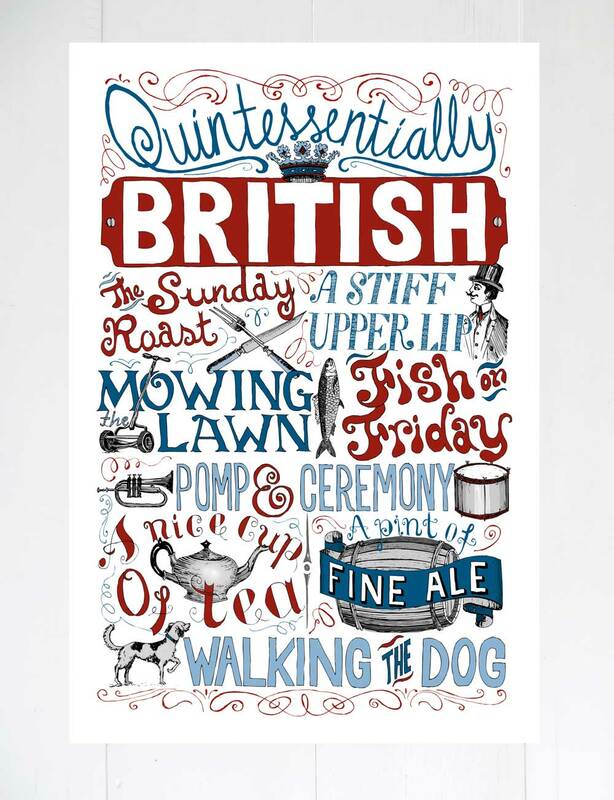 The print celebrates all the quirky traditions and rituals that are quintessentially British. 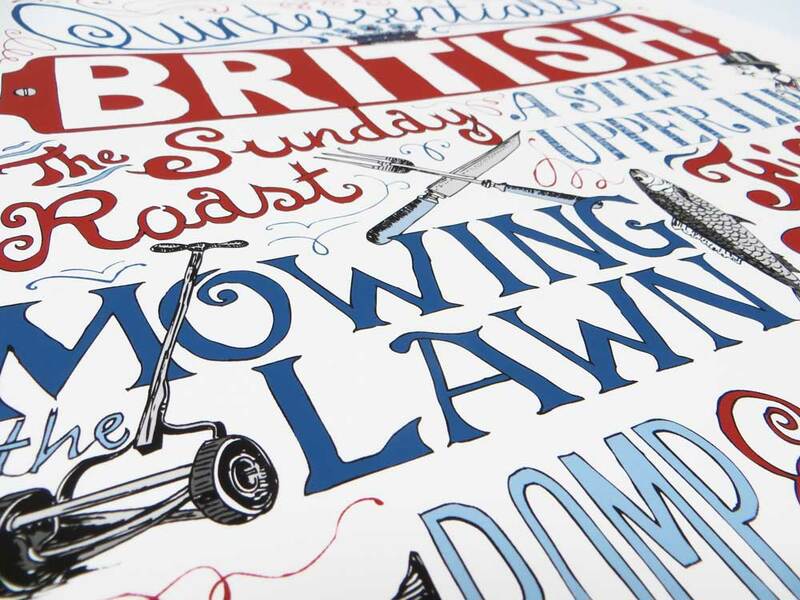 The hand-lettering and illustration is inspired by vintage advertisements, Victorian engravings and 19th century typefaces. The original pen and ink drawing is reproduced as a fine art limited-edition Giclee print. Each print is signed and numbered. The edition size is just 20. It is printed on thick (310gsm) Hahnemuhle natural white cotton rag paper.